Longtime Canadian politician Flora MacDonald has died at age 89. Born in Nova Scotia, she worked for many Conservative governments during a long political career, which included becoming Canada's first female foreign affairs minister. 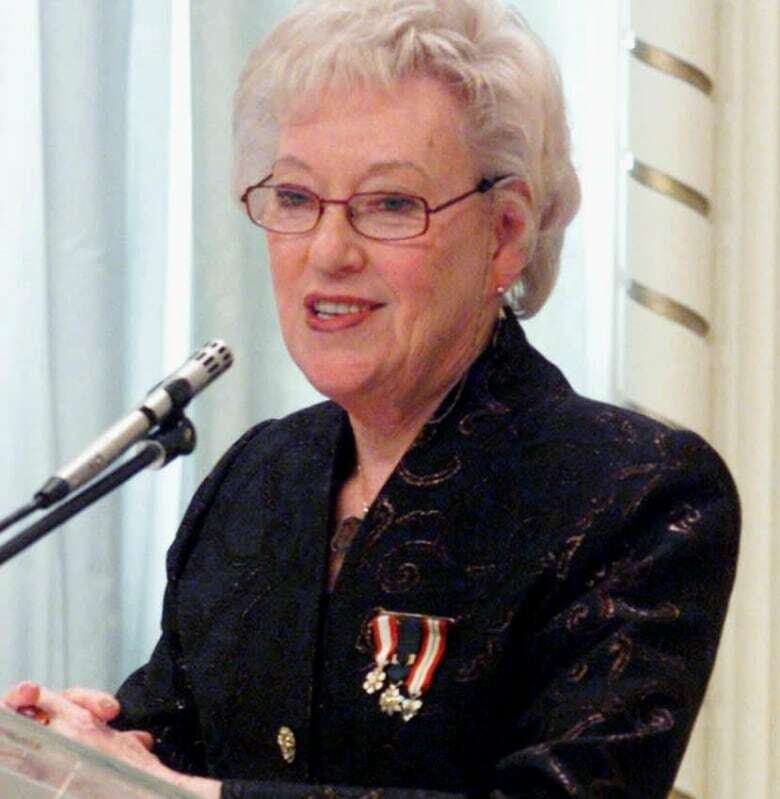 Longtime Canadian politician and Order of Canada recipient Flora MacDonald has died at the age of 89. Born in North Sydney, N.S., MacDonald served as Member of Parliament for Kingston and the Islands from 1972 to 1988. In 1979, she became the first female secretary of state for foreign affairs in Canadian history. MacDonald began her career working at Progressive Conservative headquarters from 1956 to 1965, serving as executive secretary for half a decade. After being elected as a Member of Parliament in 1972, she became the party's critic for aboriginal affairs and northern development. Four years after being first elected on the national scene, she threw her name into the ring of contenders for the party's leadership only to see Joe Clark win the nomination and eventually become prime minister. Under Clark, MacDonald was named secretary of state for external affairs. She was the first woman to hold this post in Canada and became one of the first few female foreign leaders worldwide at the time. A few years later in September 1984, she became the minister of employment and immigration under then-prime minister Brian Mulroney. MacDonald later became Mulroney's communications minister in 1986. In November 1988, MacDonald lost her seat and cabinet position after spending 16 years in the House of Commons, prompting her exit from federal politics. She decided to dedicate her time toward humanitarian efforts but also managed to host a television program, author a book and serve as chair of an international development research centre. She also publicly opposed the Progressive Conservatives' decision to merge their party with the Canadian Alliance in 2003 to challenge the governing Liberals together. She argued that the views expressed by some Alliance members on issues such as women's rights, immigration and bilingualism were not compatible with those of the Tory party. MacDonald was bestowed with many honours and awards, including the Order of Canada as an officer in 1992 and as a companion in 1998. In October 2007, she was one of five Nova Scotians named to the Order of Nova Scotia but could not attend the ceremony because she was doing volunteer work in Tibet at the time. Maclean's magazine honoured MacDonald with a lifetime achievement award in November 2014. 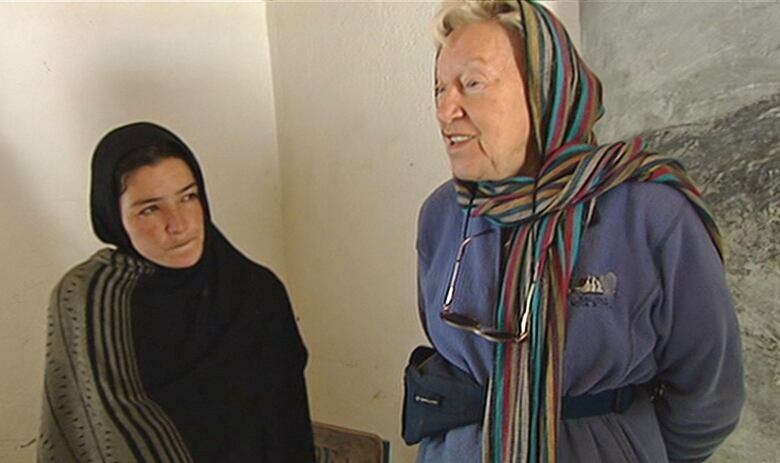 Flora MacDonald, right, is seen in 2008 visiting Afghanistan, where she was took part in humanitarian work aimed at rebuilding the war-torn nation. (CBC)On the East Coast, Canadians weighed in on the impact MacDonald had not only as a politician but also as a humanitarian. "I had a lot of respect for her, her hard work and her integrity," said Mark Eyking, the Liberal MP for Sydney-Victoria. He noted she earned the respect of many she worked with, particularly those working on issues in foreign affairs. Eyking said plenty of people he met spoke quite highly of her. "She is going to be truly missed," Eyking added. Cecil Clarke, the mayor of the Cape Breton Regional Municipality in Nova Scotia, said despite her many firsts as a woman in Canadian politics, he will remember her most as a philanthropist. He recalls "talking to her about her humanitarian work in Afghanistan and around the world and she did that well into her elderly years and never lost her passion for public service." Deeply saddened by the passing of Flora MacDonald, a great Canadian whose leadership and compassion will be sorely missed. Canada has lost a great humanitarian, exemplary parliamentarian and wonderful leader. RIP Flora MacDonald.